Do you hang around webmaster circles? Then you will realize how controversial the HTML and CSS validation are to some people. Here we are going to discuss about different perspectives on the controversy and also list out some practical methods to improve the website’s appearance. What does HTML or CSS validation mean? Well, validation refers to a program that checks and ensures that the web pages you developed are free of errors. Particularly an HTML validator checks to ensure the HTML code the web pages act in accordance with the norms set by the W3 Consortium, the firm that sets the HTML standards. There are many validators with different functions. Some use for checking errors while others give suggestions about HTML codes. You can use the W3 Consortium online validator for free. This is what a CSS validator exactly does with your Cascading Style Sheets. Generally, it will check CSS to ensure that they act in accordance with the CSS norms issued by the W3 Consortium. There are many other validators available over the internet either at free or paid. They focus on different elements to ensure that the HTML or CSS code is running problem-free over browsers and platforms. But, this does not mean that your web pages will appear as you want in different browsers. It just ensures that your code is free from syntax errors. Why HTML validation is necessary? If web pages contain errors, then search engines generally try to compensate in various manners. Some browsers may neglect the broken components while others create assumptions on what the web designer was attempting to gain. Hence, when browsers get your web pages and try to analyze them for keyword index, they will also need to make some decision on what to do with the errors. When they make decisions on the errors in the web pages, it results in that some parts of web pages are not being indexed. So, it is important to validate web pages for errors. Moreover, it is the safest way to avoid dispute on which part of the page should be indexed for keywords, etc. You may be having a web page that seems to work on your favorite browser.But, it includes HTML or CSS errors and hence, it does not come on the browser due to a bug or quirk. People using a different browser won’t support the bug and the process will end up watching a page that does not come out correctly. Furthermore, the advanced versions of users’ browser will fix the bug and leave the page broken and not indexed by the browser. Therefore, coding web pages is very much important in order to ensure that they will work across platforms, browsers, etc. Validation is also a kind of insurance against upcoming versions of browsers as every browser aims to act in accordance with the HTML and CSS norms. You may have tested your website with different browsers on all the platforms such as Mac, Windows, Linux, etc and find that your website works greatly in all. But, the errors in your website will reflect badly on your skill. This is a double side issue; first, the badly coded web page indicates that the web designer doesn’t know his bug or is a careless worker and, second it affects the marketability of the designer himself. Web designers may have doubt on when to validate the web pages for HTML or CSS errors. Well, some may validate as and when they make a change to their pages in order to avoid careless mistakes while others validate only when they do a major change in the design. There are many offline validators that help to ensure validation. Some people may hold back the validation process as they need to go online just to validate the pages. This will make the pages get overlooked. Offline validators can be downloaded and installed in your own computer so that you can run it on your web pages without visiting the W3 Consortium’s website. There are many offline validators available at free of cost to choose from. You can create your own HTML or CSS templates and then put them through the W3 validators. This is a perfect way to ensure that your web pages are standard based. After all, you don’t need any costly web development software to create your templates. There are basic text editor available over the internet to download. Use this program to create web page structures and put the content. Employ CSS to style the presentation of the content. People who publish content online are more likely to drop the text from the file right to the editor’s text box with no changes. If you like to see your content in a browser as you write it, then you need to put break tags between content components and then save the file with an HTML extension. Hence, if you validate the pages as you create them, you can ensure that when they are issued online, they will show your original content. 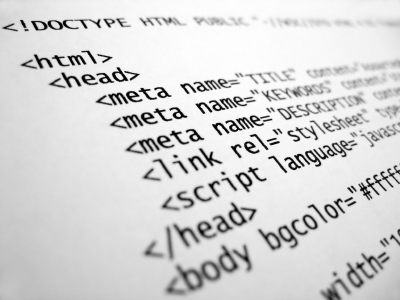 HTML or CSS validation for standard compliance includes many benefits. It safeguards your web pages from issues that will generate from syntax errors in your code due to several ways of translating errors by search engines and browsers. If you have many pages that are not validated and corrected, then they won’t work well in browsers and search engines. You need to consider some kind of strategy like HTML validation to prevent webmaster from being overloaded. Employ the HTML and CSS validatoros that are based on W3 standards. Ask colleagues for recommendations and references of HTML validators so that you can easily choose the best validator and make your pages error-free. Guest article written by: John is a web developer at Website SEO Company and he loves to spend his spare time at home with his kids. At work he has developed various web projects for SEO Optimization Services. Validation doesn’t just mean putting your pages through some web driven testers. It also means test-driving it with friends, relatives, co-workers, and strangers. Everyone has a different system and way of working, so ask for others to test-drive your styles or themes before you make them public. I’m all for validation if it helps with website performance. If you think you need to do it so that you can gain advantages in the search engines or in some other manner then I say its a waste of time. Do a quick validation check on Google.com. It doesn’t validate. That’s enough info more me to not worry about it that much. Validation procedures typically are written into the program code and are therefore invisible to the user.Vegetation- Shuts out world completely and gives up trying to resolve living yes HTML or CSS validation for standard compliance includes many benefits. I’ve never checked HTML or CSS validation for my website. I will do it and hope it will improve search engine visibility of my website.